Recover files even if emptied from the Recycle Bin. Recover from hard drive, camera card, USB, Zip, floppy disk or other media. 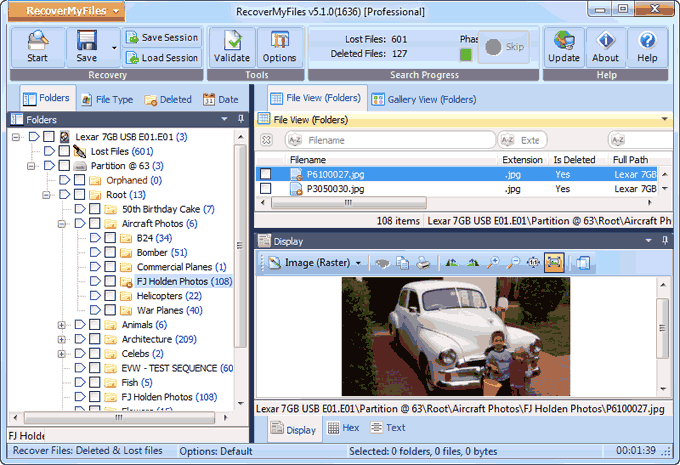 Recover My Files is professional data recovery software to recover Deleted Files, Lost Files, Formatted Disks, RAW Disks, Missing Drive Letters, Windows Reinstalls or system restores; It is designed specifically to allow home and business users to quickly and simply recover data.